Racing to summer - Jack's brand new bike! In honor of National Bike Month, my friends at Dynacraft sent Jack his very first bike! I remember my first bike and it was a red Schwinn that my parents said at the time was more expensive than a lot of the things they owned. I still have fond memories of riding my bike to so many places in Wilmette, IL and was so happy once I got the training wheels off when I was five. I felt similar joy when I got a new bike when Jack was a baby - these photos just melt me. Jack got this awesome 16" Hot Wheels Bike with a special "Rev Grip" that makes it look, sound, and feel like a real motorbike! I wish I had captured Jack's reaction after it was put together because it was truly priceless. He now wants to take it for a spin every single day. 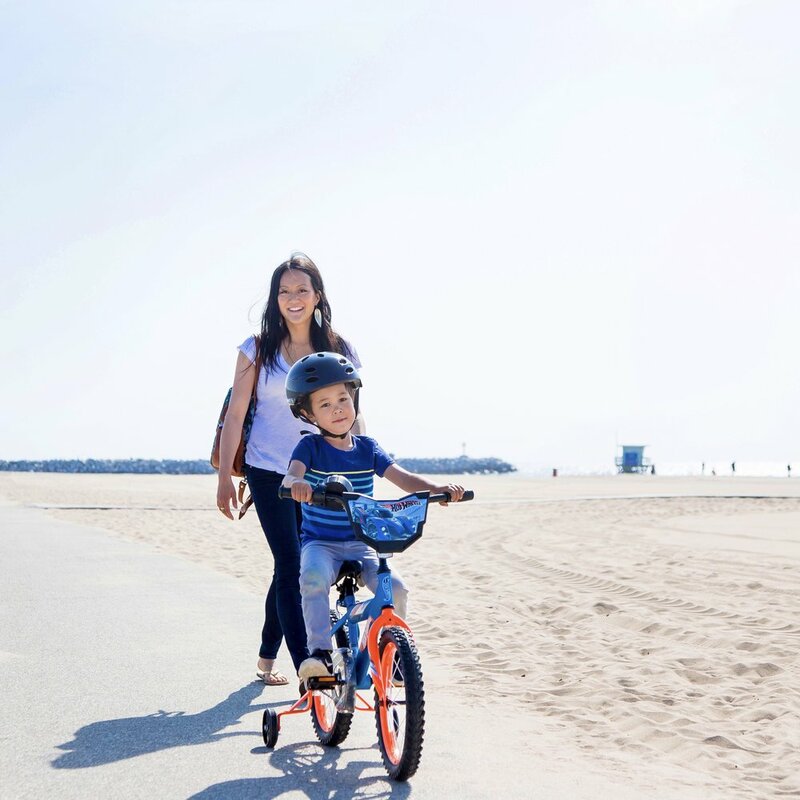 The steel BMX frame and all-terrain tires help young riders race through all types of road conditions safely & smoothly, and make for hours of biking fun! We took it for a spin at the beach and I was so grateful to have Stephanie from Ographr in tow to capture the smiles. The Ographr app makes it so easy to find and book affordable, professional, vetted photographers in a flash. It's been my go-to lately and it's been wonderful having such a great resource at my fingertips. Thanks Dynacraft for the awesome 16" Hot Wheels Bike - we love it!